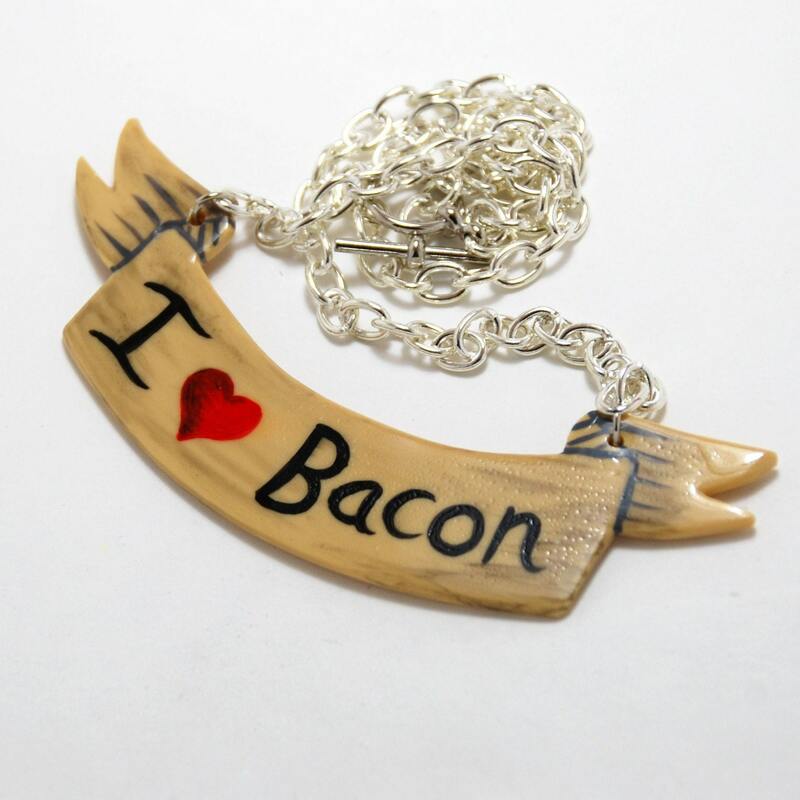 Proudly proclaim your undying love for bacon with this necklace. LadySpleen is the artist who created this wearable wonder. It's available through her page on Etsy.com and while there's only one of these in stock, her page says she takes custom requests. LadySpleen also has some cool skull jewelry so check her out!